Beautiful mermaid sets off for her voyage in the depths of the sea. Solve puzzles and help her to win a royal garden design competition in the Underwater Kingdom. 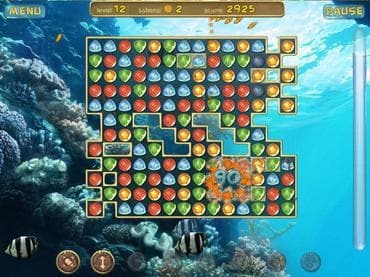 Download free full vesion game today, use you puzzle skills to play this match-3 game and help mermaid. Free Game Features: - Family friendly puzzle game; - Amazing graphics and relaxing soundtrack; - Unique twist to the matching genre games; - Unique power-ups; - Save / Load game option; - Game statistics; - Free full version game without any limitations. If you have questions about Underwater Puzzle game, please contact us using this form.